Jada Mercer is used to getting her way, and she loves danger. When she meets Asher Williams, a sensitive musician in a band, she pressures him to prove himself through the rigors of an extreme haunt known as Horror Place. At the same time, the haunt's owners, Phil and Donna Woods, are locked in an escalating feud with neighbor Ruth Littleton. The terrifying consequences unfold step by step as the characters are pushed beyond the breaking point. Weaving layers of truth and fiction, the story challenges our sense of reality with unexpected twists and turns. I received this horror novel from the author for reviewing only. The Shatter Point begins with the line that everyone has a breaking point. For some, it takes quite a bit before they lose it. While others, it doesn’t take much at all. Couple Phil and Donna Woods move into a house where a murder happened some years ago. Phil, a Halloween fanatic, starts working on a Halloween haunt for the neighborhood children. Then he learns most of the families in the surrounding homes are retirement age or with children in college, except for maybe a couple of them. Donna’s adult son, Billy, from her first marriage, convinces the couple to build an extreme haunt. The kind where people must sign waivers and all bets are off, anything goes. While their haunt is happening, Billy and Phil use social media to help ramp up interest. Other interesting characters in this book are Asher, a guitarist for his girlfriend's, Jada, band. Ruth Littleton lives across the street from the Woods. I give The Shatter Point 4 sheep. Jon O’Bergh is an author and musician. He was born and raised in Southern California and holds a Bachelor of Arts degree in Music from the University of California at Irvine. 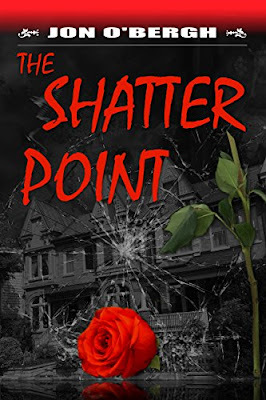 His latest novel, "The Shatter Point," is a mystery wrapped in a ghost story wrapped in a thriller. 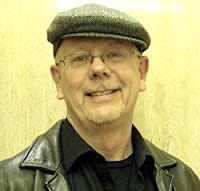 He has written two books that link music and stories, and co-authored "Elliptical: The Music of Meshell Ndegeocello." He has also released over a dozen albums in a variety of styles, including the atmospheric album "Ghost Story." After living many years in San Francisco and Washington, D.C., he now spends most of his time in Toronto.